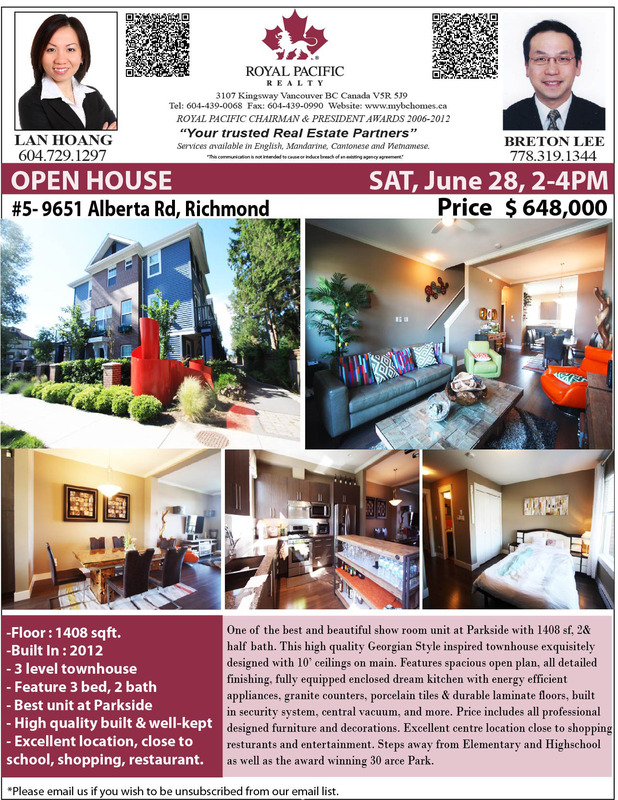 OPEN HOUSE - SAT, JUNE 28, 2-4PM. #5-9651 Alberta Rd, Richmond. Price : $648,000. 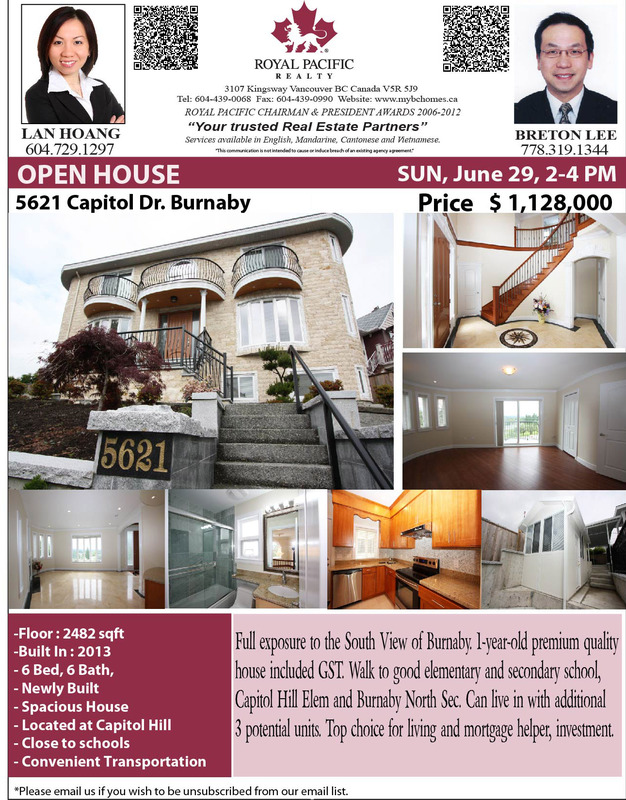 OPEN HOUSE- SUN, JUNE 29, 2-4 PM. 5621 Capitol Dr. Burnaby North. Price $ 1,128,00.